Music and film can change your life. The same experience enjoyed in your home can, too, but only if faithfully reproduced. 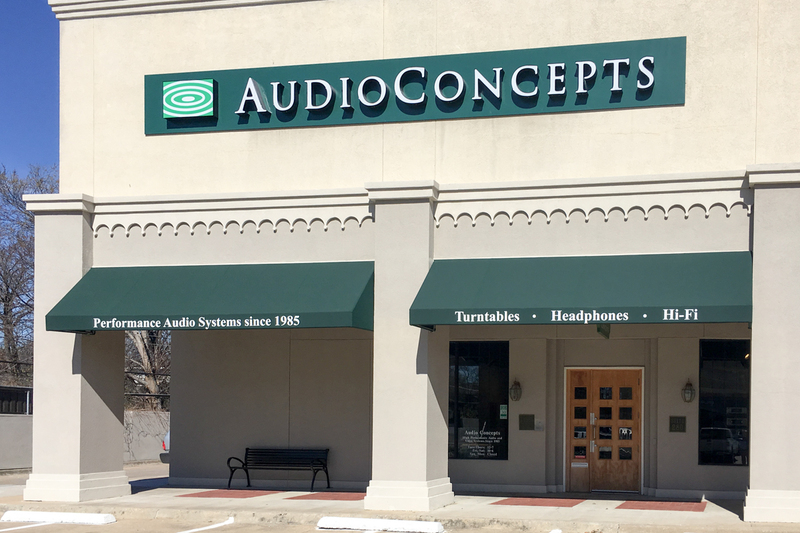 We started AudioConcepts over thirty years ago to help people enjoy the best possible audio and video entertainment in their home. The combination of our knowledge and experience, carefully matched system solutions, and excellent customer service make this happen. On this page, we provide information on our store. Please call or stop by if you have any questions, and see how we can make your next music system purchase more satisfying. Isn't it all real expensive? Here are a few reasons. First, we specialize in performance audio and video systems. We are very focused on knowing what products perform best, and combining them into systems that give the best results. We are also skilled on setting up these systems properly, so that you get all the performance possible. This is all we do- we don’t sell car stereo systems, video cameras, alarm systems or appliances. Nor are we part of a large chain of stores that focuses on profitablity through buying in what makes the most money. 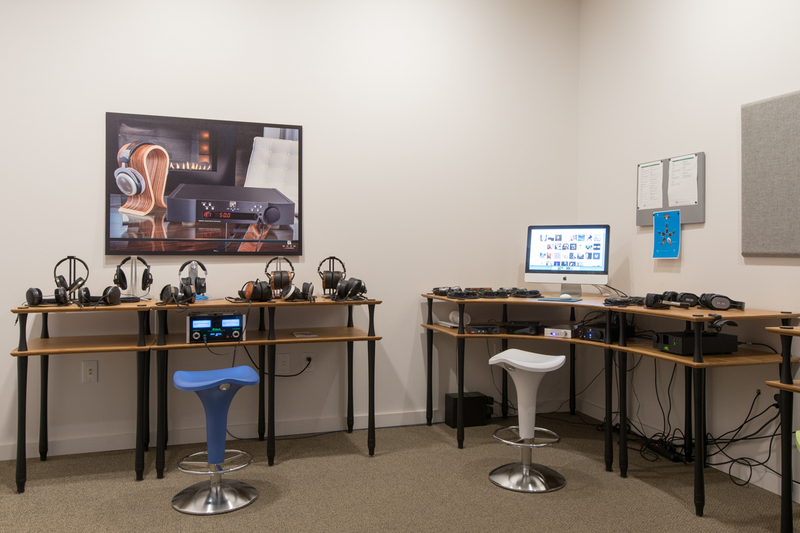 You can count on personalized advice and support with every purchase at AudioConcepts. Second, we sell all of our products by demonstration. When you buy a car, you drive it. When you buy wine, you taste it. When you buy a music or theater system (more important than the others! ), you should listen to it. We know of no magazine or set of specifications that can tell you which collection of components is right for you, your home, and your expectations. With our assistance, you can listen and decide for yourself. And don’t worry- you will hear a difference! In our experience, anyone who can tell the difference between two different brands of ice cream, or two different shirt fabrics, or the way two different cars drive, can also hear the difference between two different CD players or two different amplifiers or … . And when we demonstrate products, we actually hook them up together the way you will do at home. We don’t run everything through switchboxes and comparators, which will hide both good and bad qualities and make a valid comparison impossible. Those things belong in car stereo stores. If you see something like that in what you think is a quality audio store, run away. Third, we realize the incredible importance of selecting a system, not just a bunch of components. 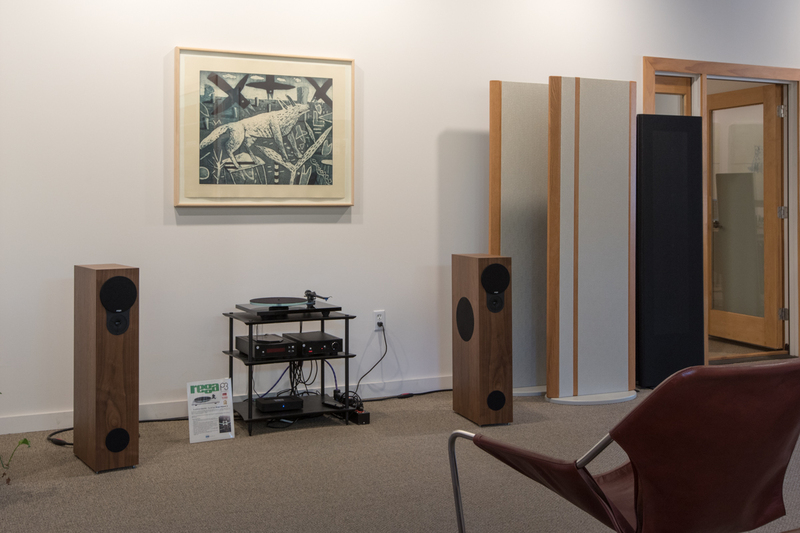 Many people come into our store having purchased a bunch of expensive audio components elsewhere, often all ‘Class A’ rated by various magazines, and are unhappy with the sound. It’s no surprise to us- a carefully matched set of components that even cost less can easily outperform the random component approach. No. Many people think that they can’t afford a high performance sound system, but they really can. 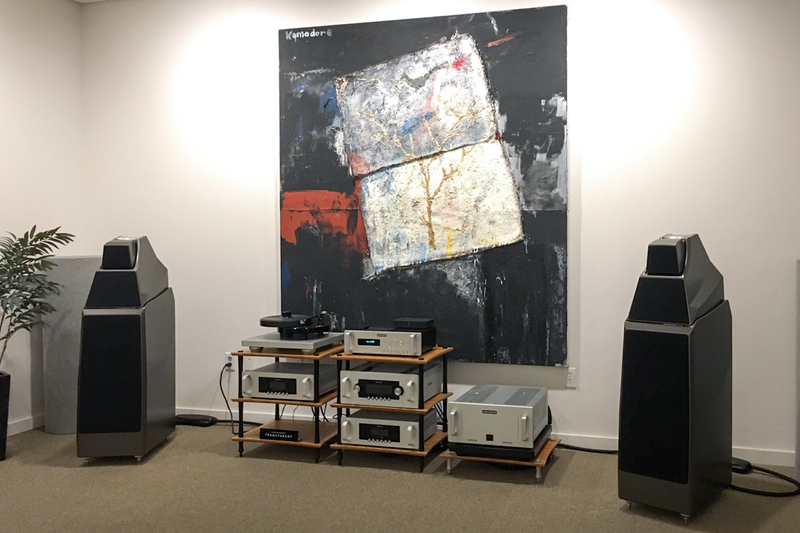 For the same money that you would spend on a rack system at an appliance or department store, you can get a sound system at AudioConcepts that will give you infinitely more pleasure. It will not only sound a lot more like the real thing, it will also be more reliable and, more than likely, be easier to operate. That’s because we select products that are designed for sound quality, not buttons, lights, features, etc. 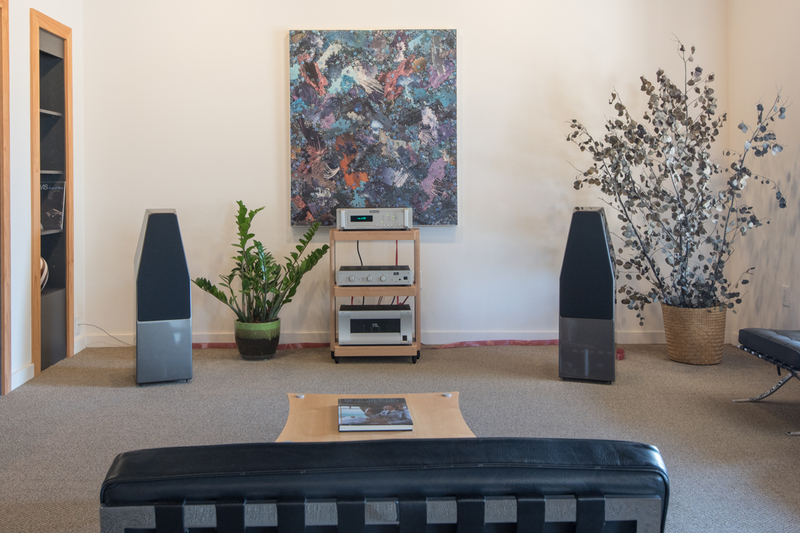 We have systems that include a CD player or DAC, amplifier and speakers for under $1500. And whether you’re spending $1500 or $150,000, you still get our full level of service. We’ll spend the time to help you pick the right components, and then we’ll deliver and set up your system at no charge, making sure that you get the best performance possible. System setup is very important. We’re constantly horrified at how poorly many (expensive) systems sound in peoples’ homes, because they aren’t set up correctly. Source components are the most cricital as they’re the gateway to getting good sound. Whether it’s fully optimizing an analog turntable’s many variables, or setting up a computer or NAS drive to play back digital music files, we can maximize the performance of all of your music sources. Speaker placement is super-critical too- speakers should be properly placed if you want to achieve the best possible sound, and even a couple of inches one way or the other can make a difference. (That’s why we’ll ask you about where you can place your speakers, when you’re choosing them. Different speakers have different placement requirements.) Components also have placement considerations, and it’s important to make the right cable choices for each application. Hooking everything up correctly is of course essential, not just so that it works, but so that it works optimally, delivers the total performance possible, and operates safely. 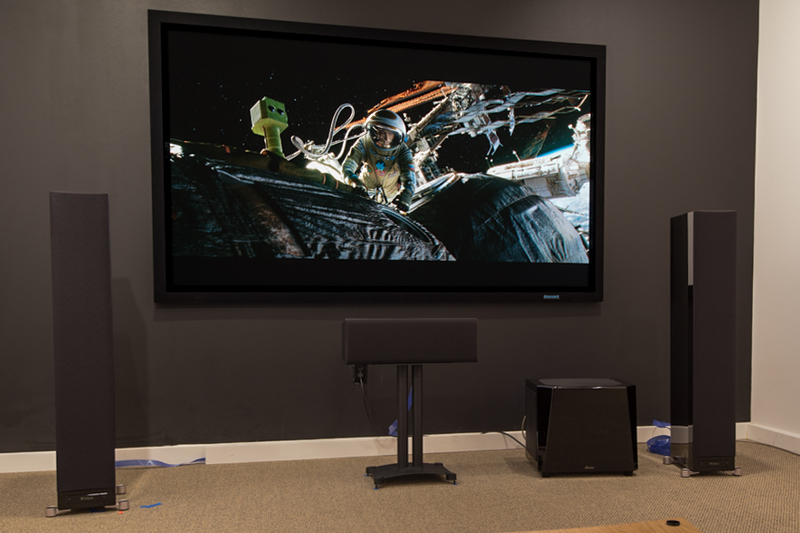 Because system setup is so important to get the best possible sound, we offer it with every system purchase. At AudioConcepts we specialize in performance-oriented music and home theater systems. Many people are surprised to learn that this focus does not mean you can’t enjoy top quality sound throughout your home. Linn, Naim, BlueSound, and other manufacturers offer solutions to extend music throughout the house, and let you choose to link spaces together or leave them separated for different family members. Ask us about the many options available that can extend your system’s use without compromising its performance. We also offer custom installation for all of our products. AudioConcepts has years of experience coordinating with builders, electricians, and architects, so we can maximize not only the sound of your system but also its integration into your home. We’ll be happy to help you select the perfect system from our range of products, and then insure an expert and smooth installation. We have a carefully chosen selection of the best products available today, ones from manufacturers who have a proven history of delivering quality products and providing long term support. We offer expert system delivery and setup. Our experience in speaker placement, component setup, cable selection, etc. makes sure that your system reaches its performance potential. We offer custom installation of our products. With years of experience coordinating with builders, electricians, and architects, we can maximize not only the sound of your system but also its integration into your home- whether it’s simply adding music in other areas of the house or making the most of a dedicated media room. We’re a locally owned and operated specialty retailer, in business for over thirty years, providing you with the best personalized customer service. When you have a question about your system, you can call and actually talk to a person- usually the person that helped you choose and set up your system. We support our products after the sale. We handle service on everything we sell, and offer free loaners (subject to availability) to system buyers. On non-warranty repairs, we don’t mark up the bill. We pass on only the actual costs to you. We’ll offer you a competitive trade-in on anything you have purchased from us, making it easy for you to improve your system and enjoy that next level of performance. I spent the second half of 2015 listening to speakers nearly everywhere in Dallas. Lucky for me I started at Audio Concepts, with John, and that’s where I finished several months later. The foundation of their excellence is the superiority of their products. Great guy, great place. He took his time with me thou I didnt have the cash to buy. I will be back to buy from him. Oh, its a 4 hour drive for me to get there. Nuff said! Thanks Mark. You and Audio Concepts are truly one of the class acts I have been fortunate to deal with over the years! Thank you! You brought the old ‘table back to life. Thanks for the outstanding service today. If I ever upgrade I will definitely not waste my time going elsewhere or online. Mark at Audio Concepts is an outstanding audio retailer who leads you gently to your own ears’ decisions. I have a depressive personality, but I would be a lot more depressed if I didn’t have my Linn and ProAc gear, and you guys at Audio Concepts to back it all up! I wanted to send you an email to let you know how satisfied I am with the Linn LP12 turntable rebuild. It sounds amazing!!! I could not be happier. You did a fantastic job. I wish I could have stayed longer in the store. We will be back. Thank you so much! I truly appreciate the customer care and service you and your team bring. I don’t shop anywhere else for audio components and tell all my friends about you. I can’t thank you enough for your honesty and integrity. That means a great deal. I just wanted to say thank you. John was just great. Everything you would want from that experience we had in his honest and helpful assessment of how we could end up with a great system. Landon was always patient, extremely knowledgeable, and helped guide me and shape the system into exactly what I had dreamed. His knowledge and input was invaluable to a novice just getting into the game. A year and 3 months later I am still so pleased with this store and its people — I cannot recommend them highly enough. Most professional high-end audio dealer I have ever worked with- 6 stars out of 5! Landon, thank you. Melissa and I really appreciate all the advice you’ve given us. I couldn’t be happier with my system.